Nov. 7 (NBD) -- Ping An Insurance Group Co of China Ltd (Ping An, 601318.SH)'s asset management arm has overtaken BlackRock as the largest shareholder in HSBC Holdings Plc (00005.HK), with a total holding of 1.418 billion shares, equivalent to a 7.01 percent stake in the bank. According to the Stock Exchange of Hong Kong Limited, Ping An Asset Management Co Ltd bought an additional 5.3756 million HSBC shares last Thursday. The new share purchase, which according to NBD's calculations was worth about HKD350 million (44.6 million U.S. dollars), makes Ping An HSBC's biggest shareholder. Ping An said to NBD the stake was a financial investment and the company is bullish on HSBC's prospect. Moreover, the bank has a high dividend yield, coinciding with insurance funds investment's risk preferences and requirements for investment income. HSBC, founded in 1865, is one of the world's largest banking and financial services organizations serving more than 38 million customers worldwide. According to the bank's newest financial report, its reported profit before tax for the first nine months of this year was 16.6 billion U.S. dollars, a rise of 12 percent from the same period of last year. Adjusted profit before tax, excluding the effects of foreign currency translation differences and movements in significant items, stood at 18.3 billion U.S. dollars, up 4 percent year over year. Ping An's new stake purchase in HSBC is reportedly linked with the implementation of the new accounting standards for financial instruments, which is known as the Chinese edition of the International Financial Reporting Standards 9 promulgated by the International Accounting Standards Board. In the first nine months of this year, Ping An produced roughly 85.6 billion yuan (12.4 billion U.S. dollars) in operating profits attributable to shareholders of the parent company, an increase of 19.5 percent from the previous year. 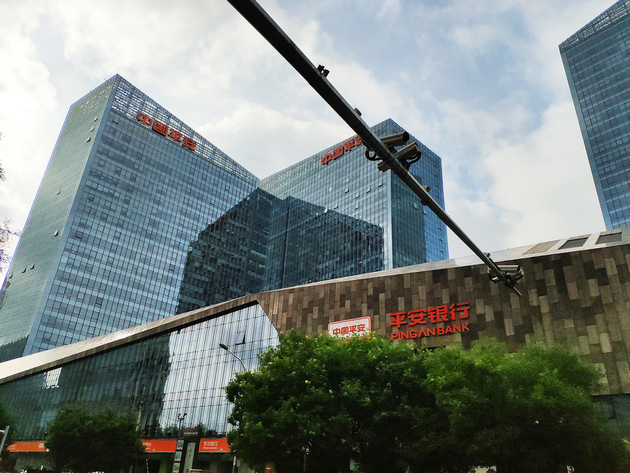 Net profits attributable to shareholders of the parent company rose 19.7 percent year over year to around 79.4 billion yuan (11.5 billion U.S. dollars). It is worth noting that the net profits growth was 35.1 percent under the previous accounting standards for financial instruments. As of September 30, 2018, Ping An's investment portfolios of insurance funds have been worth around 2.65 trillion yuan (383.7 billion U.S. dollars), up 8.1 percent from early this year. Affected by declining dividend income of equity assets and other factors, the company's annualized net investment yield of insurance funds for the first nine months stood at 4.7 percent while the annualized total investment yield was 4.0 percent. If calculated in accordance with the old accounting standards, the two metrics would be 4.7 percent and 4.9 percent, respectively. The insurance company explained in the financial report that the difference in investment income is primarily caused by changes in classification, measurement, and impairment of financial assets under the new accounting standards. One security analyst said while banks largely purchase bonds, insurance companies conduct general asset allocation and invest heavily in stocks, which make them more sensitive to the adjustment in accounting standards. In particular, the downward trend of the A- and H-share market this year places great pressure on asset allocations, the analyst added. In this case, Ping An said it will dynamically adjust the proportion of equity assets in investment portfolios and enhance long-term equity investment, so as to minimize investment risks and impacts from fluctuations of the equity market. Meanwhile, the insurer will ramp up the investment in low-risk bonds like government bonds and policy-based financial bonds.